Oppressive governments over time, have employed diverse means towards silencing dissent. For instance governments usually employ a three-fold strategy to impose restrictions on civil society organizations, namely through, legislative; judicial; and extra-legal means. Aside from this a fourth strategy is employed especially in post conflict societies to ‘control’ civil society and Non-governmental Organisations (NGOs) by including them in State led processes (albeit in a tokenistic way) in an apparent non-hostile environment. Oppressive methods to silent dissent adopted by the previous regime between the periods of 2005 and 2014, left a majority of the NGO sector (in terms of their protection) with no choice but to align themselves with the main Opposition party and the international community which unhappy with the regime. This form of governing forced a majority of the CSOs to join forces to work together in exposing the government that was ruling with an iron fist. Further, the Government of Sri Lanka (GoSL) has involved several prominent civil society leaders in various State lead processes including the Consultation Task Force on Reconciliation. However, the change of the government in January 2015 which eased the political environment for CSOs nonetheless placed a majority of CSOs in the current joint government’s debt which resulted in subduing previously vocal CSOs to go easy on this government. 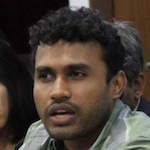 Despite the current government’s (jointly headed by President Sirisena and Premier Wickremesinghe) strategy of playing friend with the civil society which played a crucial role in throwing Mahinda out, by involving the prominent civil society leaders in the governance process, the armed forces and the Police continue to employ conventional methods of suppressing dissenting voices. A circular, (Circular No MOD/NGO/mon/4), issued by the then government in 2014 through the NGO Secretariat that prevents NGOs from conducting press conferences, workshops, training programme for journalists and dissemination of press releases, contravenes constitutional freedoms as well as several international human rights obligations, specifically the right to freedom of opinion and expression including the right to impart information and ideas through any media regardless of frontiers is although not operative is still in force. The Sirisena-led government, to appease the international community and towards fulfilling its commitment towards the UN Human Rights Council’s Resolution, is in the process of introducing new national security legislation to replace the current draconian Prevention of Terrorism Act (PTA), which is still being used to suppress dissenting voices. The ‘leaked’ draft of government’s counter terrorism policy has been criticised by various parties, including prominent human rights lawyers for its vague provision, the introduction of multiple new offences to the new policy framework and that it fails to address the fundamental concerns surrounding the PTA. The culture of using the PTA as a tool to intimidate human rights defenders, social activists and any dissenting voices hasn’t changed and by attempting to introduce worse legislation it is obvious that this government is not committed to changing this culture any time soon. It is undeniable that since January 2015 the civic space has improved to a certain extent. Unfortunately, that doesn’t necessarily mean the ‘change’ is felt by every level of the society. In October, Ruki Fernando, a prominent activist was held and questioned by the authorities at the Katunayaka Airport while he was preparing to go overseas. Despite the directives given by the President and the National Human Rights Commission on the arrest and detention of persons under the PTA which specifically stipulates that the arrested or detained person be allowed to communicate with a family member, relative or friend to inform of his/her whereabouts when arrested not even Mr. Fernando’s lawyer who was travelling with him was allowed to be present while he was interrogated. The situation is even worse in the provinces, especially in the North and the East. Though the freedom of movement within the country has eased a bit, the government continues to keep tabs on every activist. The Security forces and CID officers continue to attend public gatherings uninvited. Rehabilitated cadres and the families of the involuntarily disappeared are frequently visited by both men in uniform and so called intelligence officers in civilian clothes. ‘Only our hands are tied, but our eyes are not blindfolded’—a quote used by the security forces and police both in uniform and civilian clothing to intimidate people engaged in ground level work. The “Assistance to and Protection of Victims of Crime and Witnesses Act has several flaws especially in terms of lack of independence and autonomy. Key appointments to the National Authority for the Protection of Victims of Crimes and Witnesses (NA) that is envisaged under this Act, are to be made at the sole discretion of the President and the recommendations of this Authority are not binding. What is most absurd and dangerous is that the “Victims of Crime and Witnesses Assistance Protection Division” which is mandated to draw up and implement a ‘Victims of crime and witness assistance programme’ is to be created by the Inspector General of Police. Given the recorded history of the police for custodial deaths, and the use of torture as a means of extracting information, it is impossible to have faith in this set up as a mechanism for protection and its ability to investigate any threats or reprisals. Eliminating the culture of impunity for human rights violations is essential for building trust amongst people and communities which is the cornerstone for sustainable peace. Nevertheless, the GoSL does not seem to have an agenda in place to tackle the entrenched culture of impunity which will undermine any proposed reforms as well as the declined rule of law. The recent statement made by the President defending the soldiers who have been implicated in the abduction and disappearance of Ekneligoda clearly shows the commitment of the government. Holding anyone in remand prison without charging is a blatant violation of their constitutional rights. But these military officers aren’t the only ones who are in remand prison without charges. There are several other people in remand prisons without any charges who have been languishing for years, some for over a decade. Thus focusing attention only to the rights of the soldiers who are in remand prison for a couple of months only serves to arouse the suspicion of a section of the community with regard to the Presidents true intentions. There has been no developments in the case of the abduction and killing of Pattani Razik (which took place in 2012), who was a social activist and the head of a Non-Governmental Organization. On one hand, being recognised as an activist in Sri Lanka, just like in any other third world countries is quite challenging, sometimes even fatal. On the other hand, fighting for rights that have not been realised is another challenge faced by both Economic, Social and Cultural (ESC) rights defenders and lesbian, gay, bisexual, trans, and/or intersex (LGBTI) rights activists. The word recognition doesn’t necessarily mean a social status in the community. It simply means the importance of their work in protecting those respective rights. It is often difficult for the ones who defend ESC rights and LGBTIQ rights to seek protection as their work has not been recognised. With the sharp increase in mega development projects, coupled with land grabbing, forced evictions, and exploitation of natural resources, the fight for the protection and promotion of ESC rights has intensified. The work of human rights defenders promoting and protecting economic, social and cultural rights is critically important, while the threats, risks and challenges they face as a consequence of this work are cross-cutting. Yet, the rights of, protection and respect for the defenders of ESC rights are not recognised. As a nation that is striving to emerge from a bloody war that divided the communities and destroyed our resources, it is everyone’s duty not just to fight for their rights but also for the rights of the ones who fight along with them. As a country that has seen multiple communal uprising since independence, it is important that we all get together and rebuild the nation in which everyone’s right is respected and protected irrespective of their race, language, ethnicity, religion or caste. And that starts with promoting a community that is socially responsible; a community that fights that fight for everyone’s rights. Sinhlae was a 99% buddhist country at least for thousand for years. YOu Tamils have an established Indian culture which you call Tamilculture or civilization and everything you celebrate is Indian. Muslim -Islam is only 1400 years old while buddhism 0ver 2600 years old. christianity is you know how old. As you tamils, muslims or christians can find their culture in South India or in the Middle east, Sinhala people can not find their culture and civilization in india. Now, Sinhala people don’t have their country. they don’t a place to speak only their language and they don’t have their flag. Everything is adulterated simply because corrup, power hungry politicians. these human rights and UNHCR are all political tools. Probably, you are writing this crap because you get funds for writing it. Otherwise, first start talking about why Tamil is the only thing that unites Tamils. Why a toddy Tapper or a Barber can not become a cheap` minister of the north instead a Tobacco farmer looking like a hindu priest has become a cheap minister. Why a christian Tamil can not become the cheap minister and go nuts on Tamils ? Those days, when Tamils blowing up buses, bus stands, religious places where were you ? did you talk about a need of a Terrorist prevention act or you were just talking about the political solution or you were another black tiger ? NGOS are enitrely for special interests. Just give a nice resume of a NGO who did really what they were talking about ? NGOs are businesses working for special interest groups or western countries who want their rule to be established all over the world. Western countries follow the roman kingdom who established Vatican and roman Catholic church and disappeard from earth. What is Sinhala culture or race but the mixture of north and south INDIAN cultures!?!? Tamils have one in South India. Sinhala people have more than the language to protect. It is different Tamil tribes who want to unite under Tamil. Sinhala politicians are incomptetent chicken. So, Tamils can bully. Ever heard of constructive engagement as opposed to plain hating? Do you want a peaceful Sri Lanka where Communities are united or do you want more hate and division? Why do you mock every effort/attempt someone makes? you need to come to terms with the fact that Sri Lanka is and will always be a land of mixed communities and then perhaps engage from that point. King Coconut, I fully support you bud. This land belongs to all. This land belongs to all. You might own a house in Keneda. but, you are always an immigrent. You cannot learn Tamil and ask all the rights. YOu leanred english or talk broken english and now work. Understand that. Actually; this is the fundamental error in Sri Lanka/Ceylon history, were based on Racial Divisive & hate comments, and later introduced the Buddhist Chauvinism now playing the bigger roll to destroy the peaceful existence of the community. Those practices will never help to heal racial wounds in Sri Lanka/Ceylon. All knew that about the disgraced & so called war in 2009, a unique point the losers are not talking about the lost war but the ‘NORMS’ of war, how it was conducted. That was the first time in world history those came to surrender were killed. This is pure KARMA all regime need to answer. But the KARMA will continue. Emperor ASOKA was regretted after the great Kalinga war. From casual worker to learned person continue to pass comments like this, on top of those the Rhetoric politicians are pouring oil on burning issue. As long as Segregation is allowed to practice, country like Sri Lanka/Ceylon’s politics will painfully continue. Who are the qualified or neutral politicians can do this; it is pertinent to practice the Rule of Law, Impartial Justice. Do you want a peaceful Sri Lanka ? Tamils need to understand they lost even with the most ruthless terrorist orgqaization in the world. So, you can not ask that question.